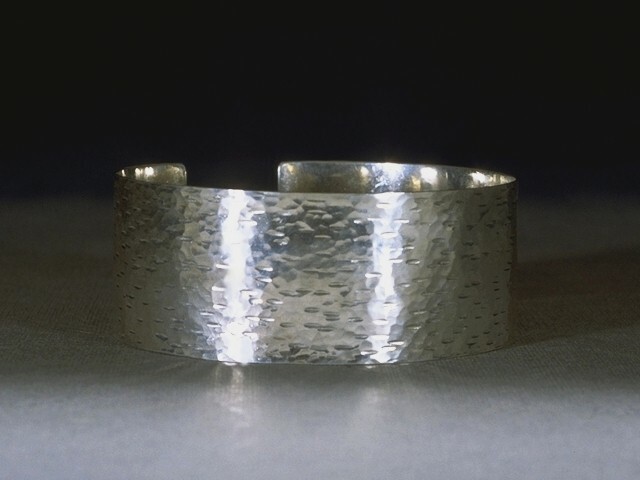 This dramatic neck cuff is formed from thick sterling sheet . The texture is created by carefully repeated blows of special hammers. See also matching Earrings ,Bracelet, Rings.